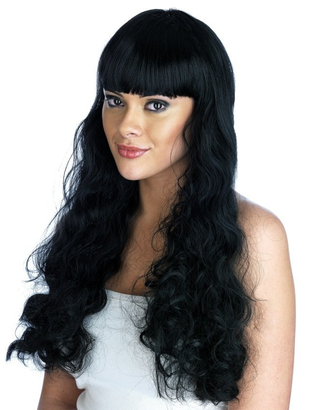 Long black curly pin up girl with straight fringe and attached wig cap to stop any stray hairs from giving away the look and to hold the wig securely on your head. Wig also available in blonde and brown in our wig section. 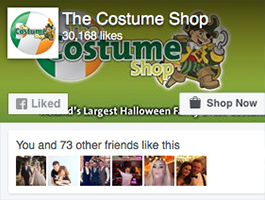 Great service - quick delivery. Wig piece for around the head was tighter than I had expected, but it works and am pleased. Thanks.